Taiwan Power Company is seeking to tap into the advances of artificial intelligence for applications to improve energy conservation and storage, the state-owned power enterprise said in a forum on April 27. Effort has been made to apply AI to the island’s power plants. For example, the establishment of coal production tracking systems has allowed for more efficient operations of coal boilers, noted the President of Taipower Chung Bin-li (鍾炳利). The heating systems for supercritical steam generators at Linkou and Datan Power Plants, he added, are also being made more efficient by employing AI technologies, reported CNA. With renewable energy set to reach 20 percent of the nation’s total electricity produced by Taipower by 2025, the company will work to incorporate AI with big data analysis of weather information and energy storage, so as to address issues of intermittency, a problem that often arises with renewable energy sources. According to Minister without Portfolio Wu Tsung-tsong (吳政忠), a total of 24,000 high-voltage smart meters have been installed across Taiwan in over 100 industrial parks. The government plans to install up to 1 million such devices by next year, and the data they provide will contribute to analysis for future AI applications. 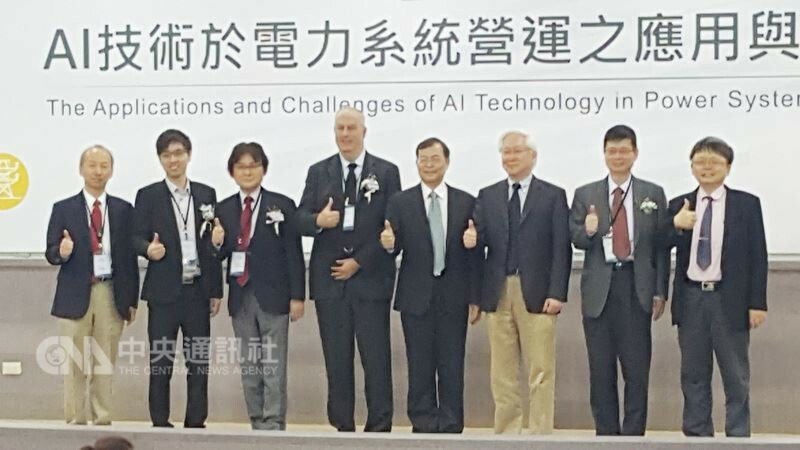 He stressed that Taiwan should seize the opportunity to harness AI as part of its bid to drive industrial restructuring, especially at a time when the island’s appeal as a tech hub has been acknowledged by the world, referring to the plans of Google and Microsoft to set up research and development centers in Taiwan this year.